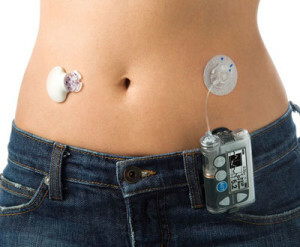 The Most common glucose monitoring solutions are blood glucose meters and continuous glucose monitoring (CGM) systems. IN CGMS, we insert a small chip at your tummy for 72 hours, you can bath, swim or Walk. After 72 hours we remove this device and attach with the computer and doctor will come to know about your exact minute to minute blood sugar of last 72 hours.